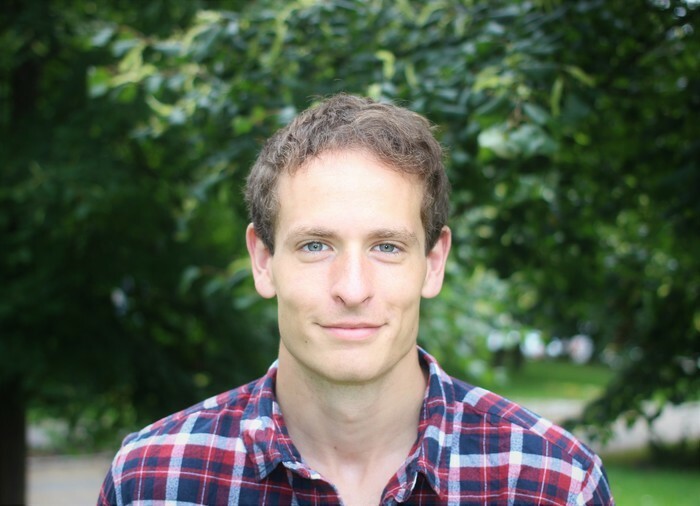 Today I am interviewing Leo Carew, author of the new fantasy novel, The Wolf, first book in the Under the Northern Sky trilogy. DJ: Hi Leo! Thanks for agreeing to do this interview! Leo Carew: My pleasure, thanks for having me! I am 26, from London, and aside from writing, I spend most of my time training to be an army doctor. My real passion though is in wilderness and exploration. I’ve spent a lot of my life in very cold or wild places, and most recently overwintered alone in a cabin on an abandoned island, writing the sequel to The Wolf. DJ: What is The Wolf about? Leo: It imagines a world in which more than one species of human survived the Ice Age, and went on to set up their own society. At the beginning of the book, the leader of the Anakim (the main alternate race of people) is killed, and his untested son Roper is dropped into a power-struggle. 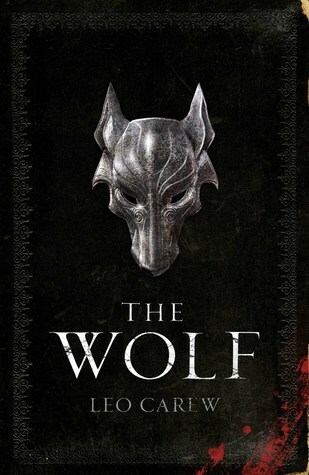 The Wolf follows his struggle to survive, and simultaneously secure his kingdom from an invasion. DJ: What were some of your influences The Wolf and the series? Leo: My genre of choice is historical fiction, which is where I get my main literary influences. I love authors like Bernard Cornwell and Hilary Mantel and their ability to submerge you in a lost world which you can smell and touch. I very much wanted that for The Wolf. I drew a lot from fantasy too. The Golden Compass is one of my favourite ever books, and I loved the imagination of the different worlds, and how they’re used to explore our own. Philip Pullman has such a great understanding of tone as well, which allows his books to say a lot without having to spell it out. Lots of my inspiration also came from real history. Roman politics was splendidly twisted and underhanded, and provided endless ideas for evil machinations. The Spartans also made a big contribution for their social structure, which was extraordinary. Leo: The characters tend to the extreme. They live in a very competitive world and have to be exceptionally dedicated in order to flourish. The protagonist, Roper, is naïve and inexperienced but extremely stubborn, refusing to yield to either opponents or friends. Though he spends much of the book without support, and makes a lot of mistakes, I really admire his resolution: it’s something I’d love to have more of. His wife, Keturah, is very acerbic and cynical, but underlying that is a great sense of duty and responsibility. I particularly enjoy writing her lines because she takes such delight in unsettling people. They’re assisted and resisted by a diverse bunch. There’s one who’s dedicated his entire life to a monk-like mastery of fear. There’s a wildly ambitious upstart with barely any close relationships, and even fewer scruples (he’s also fun to write – there’s a lot of possibilities in any scene that features him! I’m never quite sure what’s going to happen…) My final favourite character is a misanthropic commander with an extremely cutting sense of humour. Though he’s fun to write, it takes quite a lot of effort to come up with witty lines for him – I tend to steal them from things people have said in real life. DJ: What is the world and setting of the Under the Northern Sky trilogy like? The Anakim themselves live in a very singular and committed society, mostly orientated around warfare. They are educated from birth to be soldiers, with strong beliefs about living and dying for their nation. They have no writing because their understanding of symbolism is very limited. Instead they rely on a disciplined sisterhood to memorise their cultural history and retain any progress their society makes. They are ruled by a king, of sorts, though in theory he sees himself as the ultimate servant of his kingdom. To make sure he doesn’t become a tyrant, there’s also an organisation of assassins who are allowed to kill anyone without reprisal, even the king, if it preserves national stability. As you might expect, they become fairly sinister and begin abusing their power. DJ: What was your favorite part about writing The Wolf? Leo: I loved creating the Anakim. I studied Biological Anthropology at university, and it was so much fun taking all these half-discovered species of human, filling in the gaps and pulling together all the theories as inspiration for the people I was creating. There were so many possibilities for how a society run by a different species might be. After a while, I started to slightly fall in love with them too. They certainly haven’t got everything right, but they have a good sense of perspective. They’re understated, they don’t care about power or money, and believe that happiness is best achieved through self-discipline, rather than self-indulgence. I think they’d have been a happy society. Leo: A lot of the early reviews have focused on the battles, which are quite gritty, but I think the Anakim are the most original thing about it. Having my inspiration primarily from anthropology rather than literature helped make it not too derivative (I hope). DJ: Did you have a particular goal when you began the Under the Northern Sky trilogy? The Wolf is only the first book, but is there a particular message or meaning you are hoping to get across when readers finish it? Or is there perhaps a certain theme to the story? Leo: There’s lots of themes and meanings which I’ve tried to convey in The Wolf and will keep developing. The biggest one is probably self-transcendence – trying to serve something bigger than yourself, and adopting responsibilities to make the suffering of life worthwhile. Identity is a big one too: what it means to people, and how far they will go to preserve it. Death also plays a large part: something I feel we’re too squeamish about as a culture. I wanted to write a book which looks it in the eye. DJ: When I read, I love to collect quotes – whether it be because they’re funny, foodie, or have a personal meaning to me. Do you have any favorite quotes from The Wolf that you can share with us? DJ: Now that The Wolf is released, what is next for you? Leo: My pleasure – thanks very much for having me! The Wolf is a thrilling, savagely visceral, politically nuanced, and unexpectedly wry exploration of power – and how far one will go to defend it. The third of four children, Leo grew up in the centre of London, in the shadow of St. Paul’s Cathedral. Inspired by audiobooks, he developed a late interest in reading and began trying his hand at writing soon afterwards. It was at this time that he also developed a sneaking suspicion that the city was not for him and spent as much time as possible exploring remote areas. After school, this led to two formative months spent on expedition in the High Arctic archipelago of Svalbard. Three years followed reading Biological Anthropology at Cambridge University, most of which was spent staring out of the window, dreaming about colder climates. Obligatory time with serious studying done, Leo returned to Svalbard – Old Norse for “The Cold Edge” – where he lived in a tent for a year training and working as an Arctic guide. During this time, he revisited a novel he had begun at the age of 12 and began reassembling it in the considerable space offered by 24hr darkness. A reluctant return to London to train as a doctor and pursue a career as an army medic followed, during which time he completed his first novel, The Wolf.